Top UK surfer's sign deal with protein boosted breakfast brand. Protein boosted breakfast brand FUEL10K is proud to announce they have teamed up with renowned Cornish surfers Sam and Seb Smart (UK) for their latest media campaign, ‘Every Hour Counts’, and will champion British surfers throughout this coming winter with a competition launching across their social media channels. Featuring early morning action shots captured during Sam and Seb’s recent winter tour of Australia the FUEL10K campaign utilises their imagery across the product packaging and promotes the benefits of the FUEL10K Instant Porridge Pot – the ideal ready-to-go just add hot water morning meal, comprising of essential protein and fibre, ideal for surfers charging out the door first thing or post surf when looking to warm up and recharge the batteries. FUEL10K’s Every Hour Counts campaign highlights the hours required to become elite and the brand’s relationship with Sam and Seb Smart with the Instant Porridge Pot reflects on the early morning sessions all surfers across the world commit to each day. With the late autumn and early winter swells kicking in for surfers across the UK the brand proudly supports the hours British surfers put into their cold early morning sessions, as such FUEL10K have pledged to provide one committed surfer a six month supply of breakfast products from the FUEL10K range to support their own 10K journey and power them through the frigid sessions of winter and early spring 2016. To enter the competition surfers and photographers must follow @FUEL10K on instagram and from the 1st October to 31st December 2015 upload their own inspirational early morning shots featuring either action, landscapes, scenery or elements of their 10K journey. The brief is simply ‘show us your 10K hours’. Within the comment entrants must summarise what made that session so special and include @FUEL10K and the hashtags #everyhourcounts and #dawnpatrol. FUEL10K champions the theory that 10,000 hours of effort – 20 hours a week, 1000 hours a year, for 10 years – is the level of practice, highlighted in academic study, needed to become elite. Athlete or artist, musician or businessman, surfer or photographer, FUEL10K provides the morning sustenance required in the pursuit of excellence. 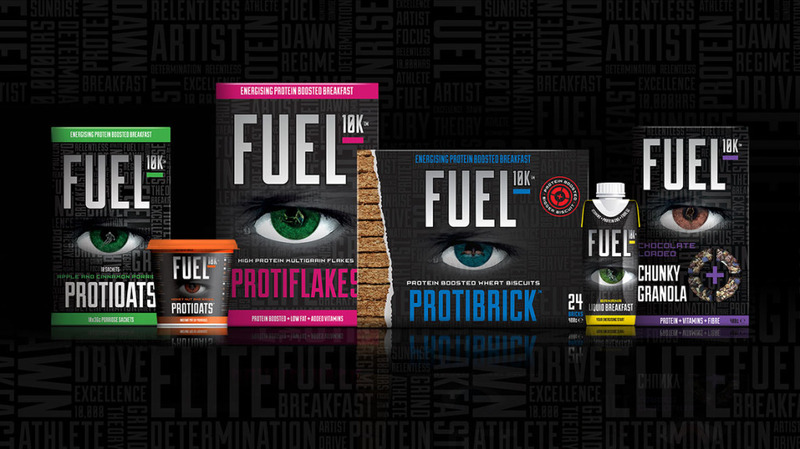 The FUEL10K product range includes Chunky Granola, Breakfast Drinks, Protibrick Wheat Biscuits, Protioats Porridge Pots and Porridge Sachets, and Protiflakes Multigrain Flakes – catering for both grab-and-go and conventional at-the-table breakfast solutions, with fruit and nut loaded meals in a variety of flavors including chocolate, vanilla, strawberry, café latte and banana, all with the added benefit of boosted protein. For more information visit; www.fuel10k.com.